The idea that what you consume to feed your body and mind could be directly managed by your DNA, metabolic rate, and blood type seems almost as crazy as 3-D printed food from the Jetson’s 1960’s cartoon. Yet, there is a company seeking to disrupt the healthcare, food, and diet industry with their product which tests your specific body genetics and suggests the type of foods and nutrition needed to optimize your performance level. Habit, a lifestyle company founded by CEO Neil Grimmer (founder of Plum Organics), secured a $32 million investment from Campbell Soup Company and has partnered with Fitbit to launch the first of its kind eco-system of direct order personalized lifestyle nutrition. It’s not a diet or a fad, and not a multi-level marketing company offering weightloss and fitness goals. Habit can be described as your little black health access book. The test combines your DNA, a fasting blood test, and a metabolic blood test to establish a your health baseline. This information is then added to your dashboard and a nutritionist reviews your results over a 25 minute conversation to create a blueprint for taking care of your body. 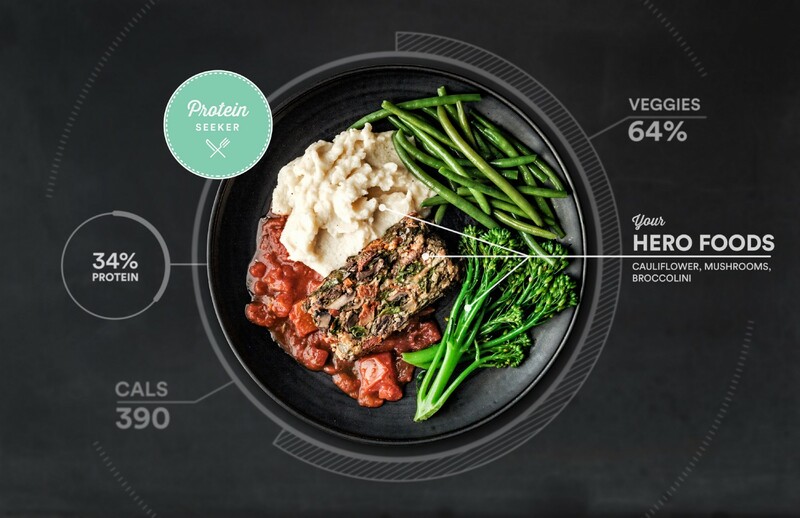 With the opportunity to order chef created freshly prepared meals to receive at home, Habit has created not only a product, they have created a valuable service. Can DNA and blood tests provide enough insight into our personal well being? Studies suggest that our DNA can provide valuable information to understanding who we are, yet Habit is taking it a step further by pairing DNA with specific blood tests to fully understand our makeup. We are all uniquely different, not one person exactly the same, so does it make sense that lifestyle choices could enhance your self car? Absolutely! The FDA has mandated a nutrition label for each of the foods that we consume. The idea that this one size fits all label may no longer serve us, is not far fetched. Marketing has shifted to a personal connection economy, why not our food? With self care at the forefront of conversation, personal health (emotional and physical) is a major factor in our environments from work to family. Habit may be coming into the marketplace at the right time, with cross-fit mainstream and alternative medicine openly discussed. Neil Grimmer founded the idea on his own “aha” health awakening. As a creative phenomenon in the food industry, he was surprised to look at a reflection of a fifty-pound overweight middle-aged man in the mirror. Needing to make a change, this former tri-athlete found himself in the “dad bod” category while building his former startup, Plum Organics. Through a series of tests, doctors, and research, Neil gained a heightened knowledge of his personal health, and knew many individuals would want this for themselves. This crossroads in his life, led to a two year journey developing the science, partners, analyses, and recipes that makeup Habit. You fast overnight, drink a special shake, take two more pricks of blood, and that afternoon ship the package to the lab. Two — three weeks later, results show up in your Habit dashboard. You speak with a nutritionist and walk through your personal biology and setup your plan. From there, there are options to order food — from one meal to weekly quantities, and continue sessions with a nutritionist. Habit’s system provides the tools to get what you want out of your results, identifying a course of action that is not cookie cutter. Habit’s goal is to empower people with wanting to make a lifestyle change to protect, enhance, and better their health before it becomes a need. Habit launched in the Bay area January 4, 2017. Over the course of the next year the plan is to scale into other major metro markets. Consumers interested in Habit can signup for more information on their website at www.habit.com, and be notified when the product will be in your area.